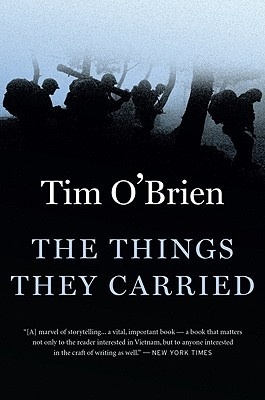 Ashley Mack Jackson breaks down our Linked Stories class on Tim O’Brien’s The Things They Carried. I am pursuing an M.A. in Creative Writing at Ball State University (BSU). This is my first semester at BSU and I have the pleasure of being in Cathy Day’s Fiction: Linked Stories class. Each week one student is responsible for covering the class for the class blog. This week I’m up! You can access our class blog at iamlinking.wordpress.com and follow our progress throughout the semester. Narrative Theory: “What Makes a Short Story Short” by Norman Friedman & “The Nightmare of Resonance: Tim O’Brien’s The Things They Carried” by James Nagel.